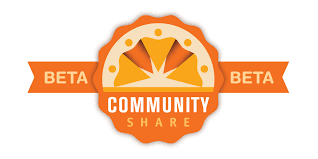 We partner with businesses and organizations that share our commitment to invest in and support teachers in Arizona. Our partners are proudly displayed below. TVT is proud to partner with Pima Federal Credit Union, a credit union founded by teachers in 1951, that aims to give back to the community through volunteerism, educational support, and community fundraising. Through its annual Pima Federal Golf Classic, the credit union annually raises much-needed funds to provide supplies for schools in the Amphitheater, Flowing Wells, Marana, and Sunnyside school districts. The tournament offers a variety of activities including a breakfast, silent auction and raffle that create a unique player experience – all for a great cause! Since 2013, with its partners, players and sponsors, Pima Federal has raised $262,000 that has gone directly to teachers through Tucson Values Teachers. • Membership in the Jim Click Business Preferred Network at no charge. • Employee Pricing on over 1,000 Used Vehicles from GM, Chevrolet, Buick, Toyota, Honda, Lexus, Dodge, Ford, Lincoln, Nissan, Hyundai, Kia, Chrysler, RAM, Jeep, Mazda, Mercedes, and more! • Preferred financing available for all TVT members. 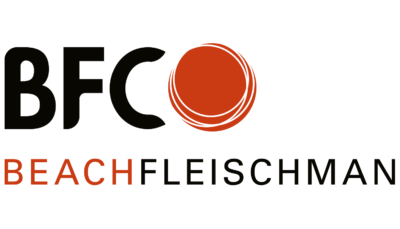 • Maintenance for Life on all Used vehicles. 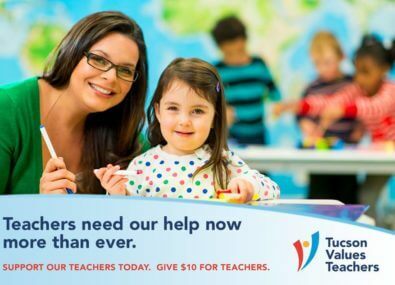 • $100 Donation to the school activity/program of your choice for vehicle referral purchases made by either friends or relatives (not part of Employee Pricing offer and requires advanced “TVT” referral notification). The Jim Click & Holmes Tuttle Automotive Team is proud to offer you award-winning new vehicles from Ford, Lincoln, Dodge, RAM, Chrysler, Jeep, Hyundai, Mazda, Nissan and Kia, throughout Tucson. Visit our 22nd & Wilmot or Automall location and make sure to pick up lunch from either of our Cafe’s, located conveniently in-store, to make your visit more enjoyable (coming soon to Green Valley). While you shop, we offer you full Internet access, safe, comfortable children’s play areas, and invite you to make yourself at home. Every Pre-Owned vehicle we offer includes our Exclusive Maintenance for Life Program, which includes lube, oil and filter changes and tire rotations in accordance to the manufacturer’s ‘Normal use/less severe use’ service interval, recommendation listed in the owner’s manual, for the entire time you own your vehicle. The Maintenance for Life Program is available at all 10 Convenient Tucson Area Jim Click & Holmes Tuttle locations. Go to www.jimclick.com/maintenance for more information. 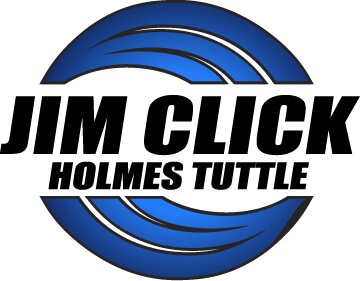 Click Express Service is available at all 10 locations of the Jim Click & Holmes Tuttle Automotive Team. Our convenient locations in the Tucson Auto Mall, 22nd and Wilmot, and in Sahuarita/Green Valley mean that your services get done fast the first time! Our Factory Certified technicians are continually trained to make sure your car stays on the road longer. Special discount card for all K-12 Teachers. Receive 30% – 70% off on all printing services at any Office Depot/OfficeMax store as well as great discounts on selected items perfect for the classroom. 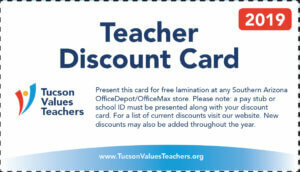 Office Depot/OfficeMax also offers free lamination of the TVT Teacher Discount Card. Check back summer 2019 for special Walgreens discount. You have a role to play in supporting and valuing teachers in our community. Join us to demonstrate your support by getting involved in a wide range of programs and activities provided by TVT, our partners and our sponsors.